Wood projects are as diverse as their builders but some universal truths apply. Your grand vision must be built on strong knowledge of wood species that will be used as well as a clear understanding of the critical role of correct moisture content (MC) in wood. Wood is puzzling. We cut down trees, and they are officially dead. However, wood continues to absorb and release moisture as if it were still alive. In that sense, wood is interactive with the surrounding environmental conditions. 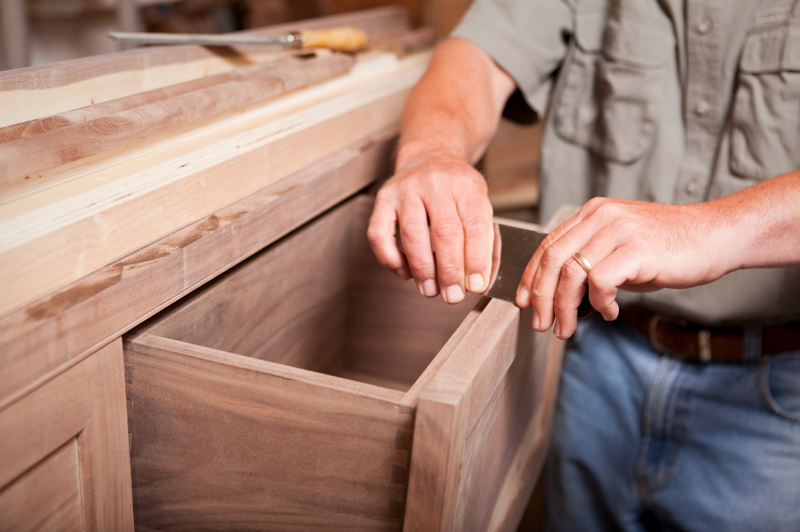 With rare exception, MC management is critical to wood products manufacturing and woodworking. For wood products or lumber producers, quality control personnel carefully monitor the wood’s MC. For kiln drying of lumber, the dry kilns’ relative humidity (RH) and temperature among other variables, must be carefully controlled to provide quality lumber at correct MC to wood products manufacturers and hobbyist woodworkers. The MC mandate reaches all the way to your building supply dealer. The need to have a good understanding of how local weather, wood species, and processing all affect the quality of the product you purchase for your wood project. Good wood is only as good as its moisture maintenance. Successful wood projects depend on a hobbyist’s understanding of MC: the percentage of moisture held within the wood, relative to the total weight of the wood. As you saw, plane, sand, and assemble wood, its MC levels change according to the RH and temperature of the air surrounding it. 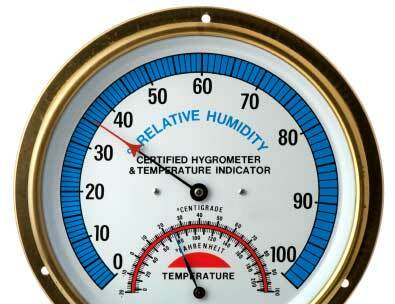 This is the basic concept of Equilibrium Moisture Content (EMC). When RH rises, the EMC will increase, and if the wood is at a lower EMC than the air, the wood will expand as it absorbs moisture from the air. When RH falls, the EMC will decrease, and if the wood is at a higher EMC than the air, the wood will shrink as it gives up moisture to the air to acclimate to the lower EMC. Here is a typical EMC example: Let’s say your indoor RH level is 45% with the temperature at 70 degrees F. Let’s say your purchased wood stands at a healthy MC of 8.5%. If your RH increases from 45 to 50%, your wood MC rises from 8.5% to 9.2%. If your RH decreases from 45% to 40%, your wood’s MC falls from 8.5% to 7.7%. The MC of the wood can easily complicate your project. “It’s a little muggy out today…” causes enough change in MC to make your wood harder to cut, glue, machine, and finish. That’s because MC literally can change wood’s dimensions; even one odd-sized piece (altered by changes due to MC) can ruin the rest of your wood project. Technology has delivered convenient and precise MC meters to wood hobbyists. Wagner Meters features non-damaging hand-held moisture meters for both the hobbyist and the professional that you can pack on your tool belt. Just run the meter along any surface of your wood project and you can read the MC instantly. You can measure the same piece multiple times as the RH changes during your wood construction project. Wagner Meters even has a data storage moisture meter model that will allow for the easy storage of MC data for quality control documentation purposes. The proper MC of your wood will be the strength of a wood project well-built, so be sure you’ve got the tools to build your project like a pro.